As the roster of catastrophic wildfires grows each year, figuring out how to adapt to changing circumstances keeps fire ecologists and risk managers up at night. But there are some lessons to be learned from the logic of the Dreaming, the framework of space-time understood by Australia’s Aboriginal people. As you might expect, its pragmatic applications may not be instantly intuitive—human-set fires are good, more intense hunting sees more prey, and the absence of people may have resulted in local extinctions. To Bowman, the best way to look at the Victorian fires is to go back, 45,000 years back, to be exact, when Australia&apos;s indigenous people brought fire to the continent. "It&apos;s a deeply important question," he said, "what do indigenous people do with fire? Were they skillful with fire?" In the aborigines&apos; case, Bowman finds the answer is yes. He found their use pragmatic, to bend the natural habitat to do things like create a surplus of kangaroo to hunt, protect their own resources from wildfires or clear land for planting or transit. They left behind a patchwork of burnt and untouched areas, a "habitat mosaic." And, Bowman said, "They had effectively tamed fire to create a benign habitat — for them." He&apos;s further argued that their stewardship, for such it was, even resulted in greater biodiversity for the continent. Some anthropologists who have long studied the Aboriginal community of Martu in Oz’s Western Desert have demonstrated this message, showing how controlled burns tied to grassland foraging have been more benign than naturally occurring fires for animals and for people, so much so that when the humans went away the species count dropped. These smaller fires also reduce the likelihood of totally catastrophic “natural” fires. "Our results show that humans can have positive impacts on other species without the need for policies of conservation and resource management," lead author Rebecca Bird was quoted in a release from Stanfordabout new research appearing in the journal Proceedings of the Royal Society B. "In the case of indigenous communities, the everyday practice of subsistence might be just as effective at maintaining biodiversity as the activities of other organisms." The takeaway message isn’t that if we’d only follow the old ways everything would be fine; the circumstances of today—plus Martu isn’t Melbourne—suggest that ship has sailed. Instead, the message is the less expansive notion that we ignore centuries or millennia of relatively successful ecological practice at our peril, in the Outback or elsewhere. "Martu don&apos;t think of it as, &apos;We apply fire in order to promote the future long-term biodiversity,&apos;" co-author Douglas Bird has been quoted. "They can talk about all those effects, but that&apos;s not what maintains the system." 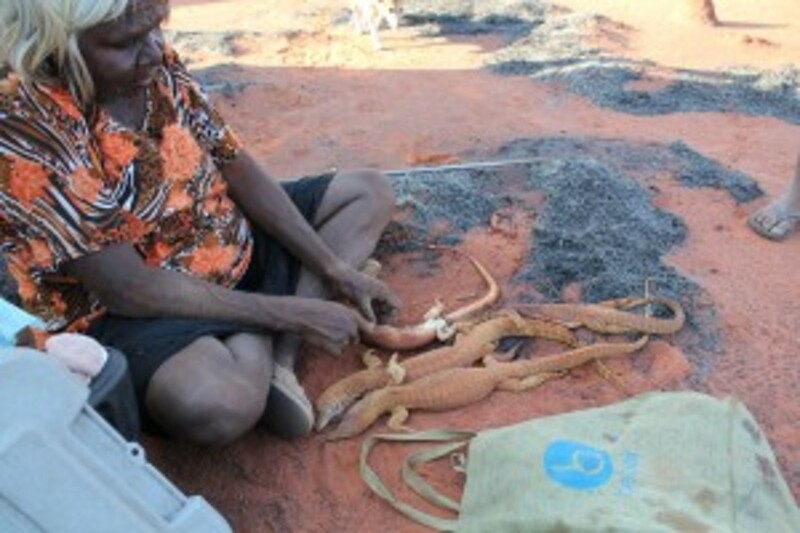 The Martu community provided a natural laboratory for exploring the relationship between burning, hunting, and conservation. Desert foraging has been present in Australia for tens of thousands of years. During that time, patchwork burning helped both in finding prey and in fostering the growth of edible plants. But foraging faded out in the late 1950s through the early 1970s as the Aboriginal people decamped to missions and stations on the desert’s edges. “During that time,” according to the paper, “somewhere between 10 and 20 native species went extinct, 43 more went into sharp decline, and the landscape was dominated by extensive lightning fires.” Aerial photos showed that the average size of brush fires rose from 158 acres in 1953 to 128,000 acres in 1984. It was in 1984 that a contingent of Martu returned to their old desert haunts. It wasn’t a complete return to form—they came back with rifles and Land Rovers—but they also returned with a storehouse of traditional knowledge and practices. Against this backdrop Bird and her colleagues conduct their field work. The period of foraging’s absence was also a time when the official line was that wildfires were things to be avoided, not exploited. "It was a rational response," Bowman has said, "but uninformed historically." Aboriginal foragers (in this case, mostly women that hunt small game) thus construct their own ecosystem. Over time, small-game hunting creates a very different landscape than that under a natural or lightning regime: It rearranges habitat into smaller patches, creating more diversity at spatial scales equivalent to a human foraging range. 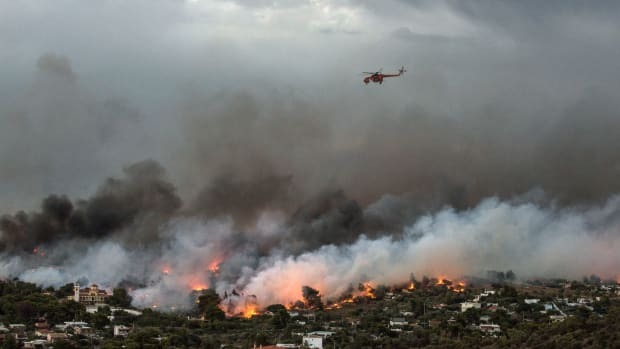 Importantly, the patchiness that ensues does not eliminate mature habitat, but rather prevents its localized extinction from large-scale fires, such that it persists in all anthropogenic landscapes but is periodically eliminated from natural ones. A key part of Aboriginal burning is the connection to the Dreaming, a core cultural concept about place and how to exist in it that has both mystical and practical elements. (I’d probably do some violence to it by describing it further.) “The logic of the Dreaming—that a healthy people and a healthy country are linked through fire and the use of resources—reflects a sophisticated ecological and evolutionary understanding of the ways that human activity functions as a keystone process in this desert climate,” Bird writes. You might argue that while these little fires preserve biodiversity and create a sustainable bounty for hunter-gatherers, they are not “natural” because they are derived from human actions. That, of course, implies that human presence anywhere is somehow unnatural, which on reflection is silly on its face. That’s actually one of the biggest points of Bowman’s scholarship, that fire is a shadow life form that humans have evolved alongside. And in Bird’s study, there’s another leg—after tens of millennia the local plants and animals have also co-evolved along with their partners, flame and humans. Maybe it’s not pristine, but it is sustainable. The important point is that Native American burning practices were performed to modify the landscape in an artificial manner and probably resulted in the elimination of large tracts of native shrubland communities. We can not afford to emulate this pattern today because we have increased fire frequencies in many shrubland ecosystems beyond their ability to recover. 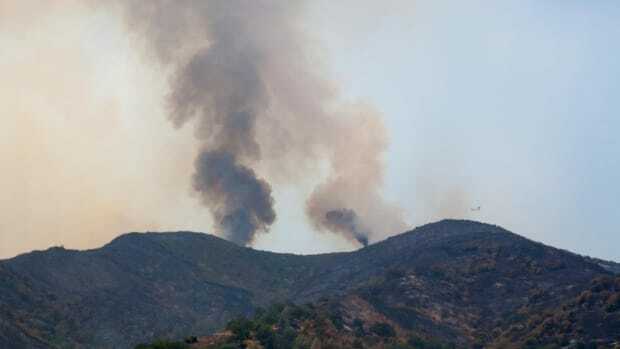 In addition, increased fire frequency and other unnatural disturbances allow the spread of non-native, invasive weeds into native ecsoystems, something Native Americans did not have to contend with. All of this ignores any discussion of another human-caused influence on wildfires—climate change. Australia’s current government has taken the rather peculiar view that the last few years’ megafires are not related to global warming at all, arguing there have been big fires in the past (true) and that you can’t relate any individual weather event directly to climate change (also true). 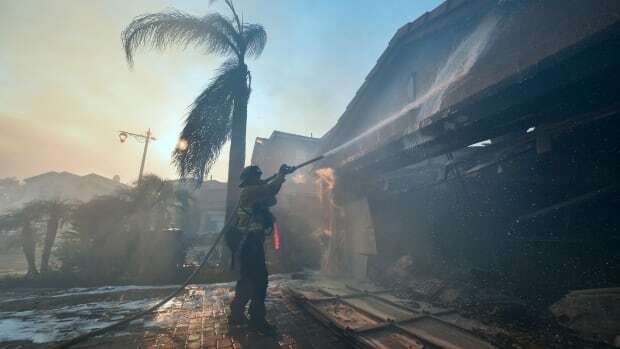 The government is also fighting a pioneering carbon tax which is harder to dismantle if you accept the (likely true) idea that climate change is a contributor to today’s rampaging bushfires. Decades of 'fuel management' have been ineffective in preventing wildfires, scientists say, and in all likelihood make the blazes more likely and more devastating. 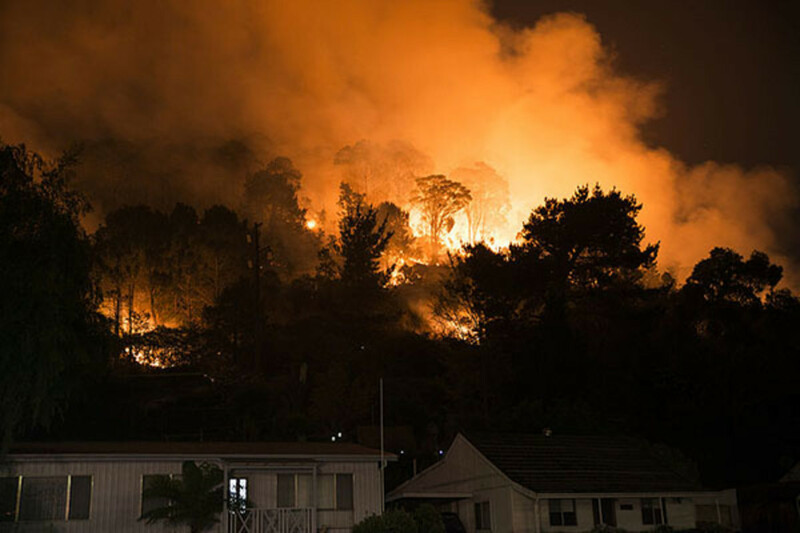 Some advice from Californians who have lived through and studied the state's wildfires.